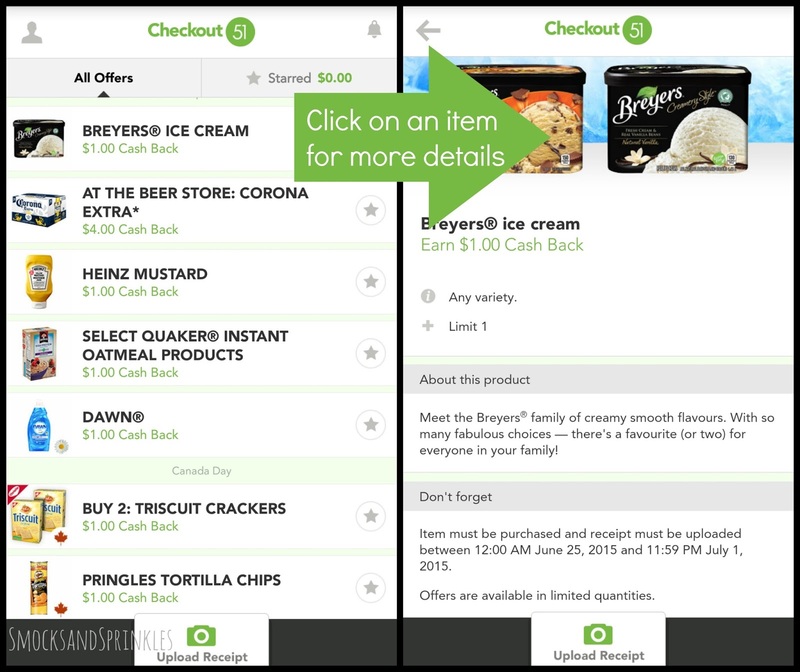 Smocks and Sprinkles: Money back on groceries...without clipping coupons! 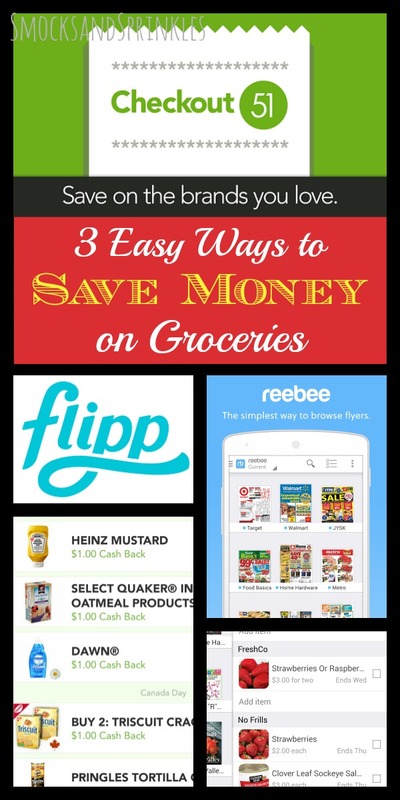 Money back on groceries...without clipping coupons! I love free money. I just got a cheque in the mail a few days ago for $22.50 because I went grocery shopping! 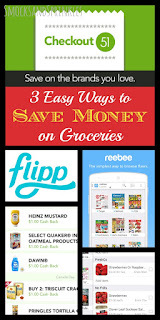 Ha, okay, there are obviously a few more details, so today I'll be sharing about how you can save money on groceries with three easy-to-use apps, plus some other tips. Download the Flipp or Rebee app! These two apps basically allow you to browse all the current (and some upcoming!) flyers from your local stores. 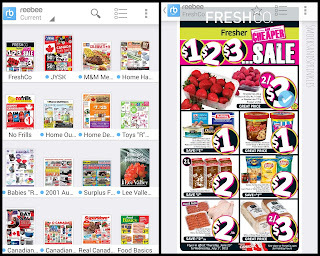 They have a quick search function, so you can search for a particular store's flyer, or for a certain item. For example, I'm constantly looking for the lowest price on bacon because come on...bacon! I just type in "bacon" into the search field, and the app shows me any items listed in the flyers that include the word bacon! But wait, it gets better! 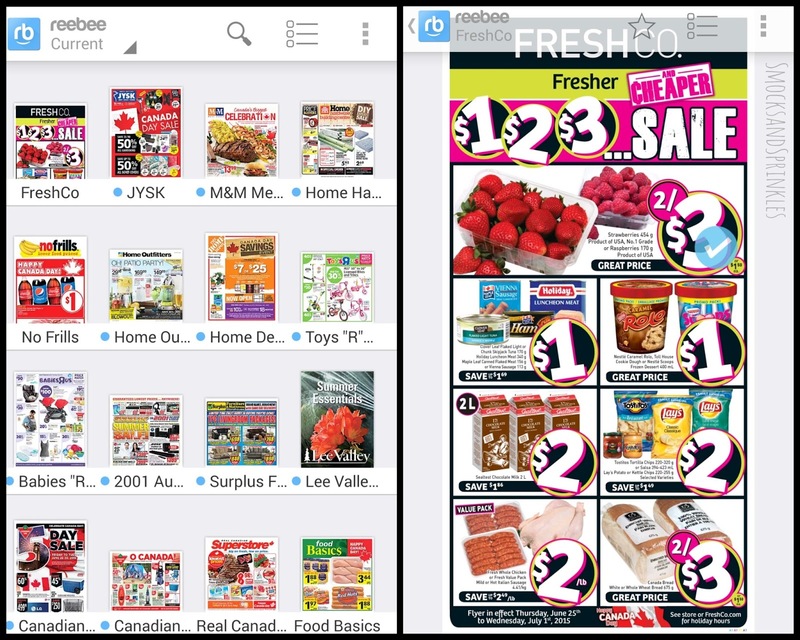 You can make your grocery list by selecting the items as you browse the flyers. 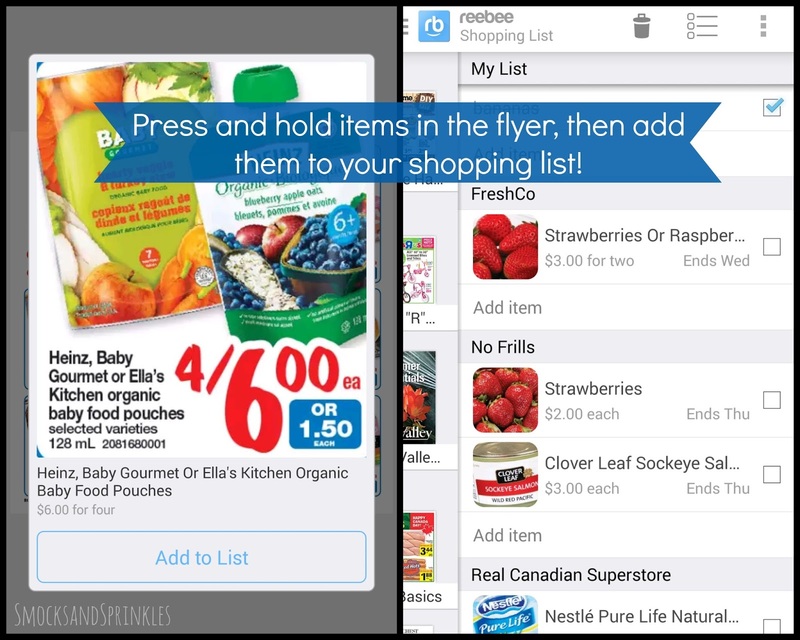 In the Rebee app, you just press and hold the item, and then add it to your list. My Rebee grocery list shows items by store. Once you've made your list, you can figure out who has the best deals on your grocery items. Or, if you're like me, you use this list to go a step further. A step further to be that person. You know. That person who might hold up your grocery checkout because they're price-matching. I hate when people price match a bajillion items, but I love price-matching myself. I know, it's hypocritical. I usually go to Walmart, No Frills or Superstore to do it. And before you all judge me for holding up the checkout, I try to go when it's really empty if I know I'm going to be price-matching more then a few items. If you're not familiar with price-matching, it basically saves you gas and time because it allows you to buy items at one store for the lowest advertised price in that week's flyers (from any store!). For example, after I find the lowest price on bacon from, say Loblaws, I go to my Walmart and grab that same brand of bacon. When I'm checking out, I bring up the Rebee app on my phone, tap on the bacon from my grocery list, and show the cashier the flyer from Loblaws. Whatever price Loblaws has listed is what they charge me. I usually save up to $3 on bacon. But what you really want to know is how I managed to get a cheque mailed to me, right? 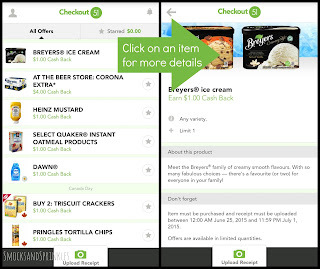 Download the Checkout 51 app! 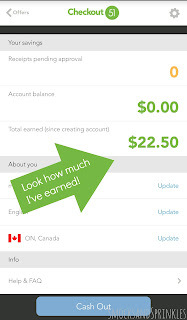 This app works like PC Plus points, if you're familiar with those, or you can think of it as virtual couponing. Basically, you'll have a personalized list of offers each week that you can get money back on. For example, my list is full of Canada Day BBQ items, as well as toiletries, baby food items and household cleaning products. Below each item, the app shows you how much money you can get back if you purchase the item. Rebates range in price from $0.50 to a few dollars. 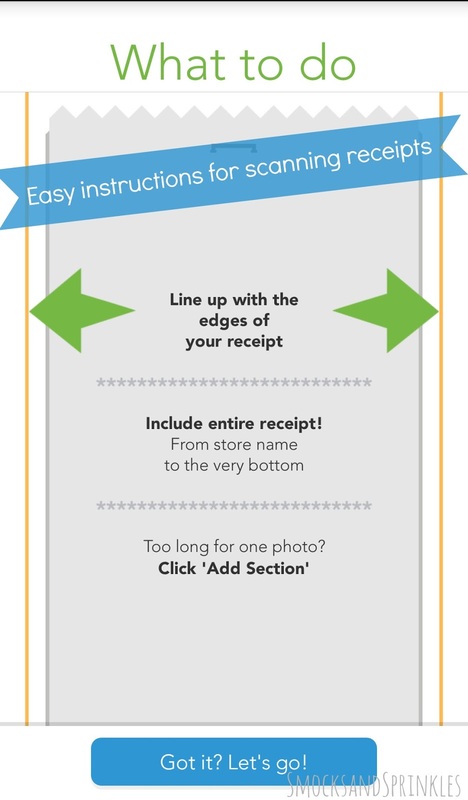 Once you purchase the item, you just scan in your receipt, and if it's approved, you start collecting the money in your account. When you hit $20, you can request a cheque. This app also allows you to "star" your favourite offers, so you can remember to buy and claim them. 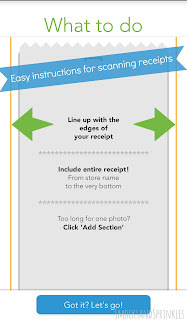 Oh, and offers can run out because lots of people claim them, so try to scan your receipts right away. If you use this app in conjunction with the flyer apps and price-matching, you can really save a bundle! One week, I succumbed to a frozen Delissio pizza craving because I ended up being able to purchase them for $1.50 each after taking into account my Checkout 51 rebate! Uh, just be careful, because this app can also make you impulse buy things you normally wouldn't. See frozen pizza example above. And I'm seriously conidering buying a tub of Breyer's ice cream this week because I can get a dollar back. Sigh. If you're like me, you might have trouble remembering what a good price for certain grocery items is. I'm blaming my terrible memory on baby brain, but it could just be laziness. Either way, you can keep a handy list of most of your grocery and pantry staples and the lowest price you pay for them. For example, the lowest price I've ever paid for a container of (non-organic) strawberries is $1.88. I'd add that to my list, so that I can use it for reference when I'm looking for a good deal on strawberries. I might think that $3.00 is a great deal, but my handy list would remind me that I can do better. I used to call my mom for these price references, but I figured I should develop some independence sometime, right? What do you do to save money on groceries? Or have any questions about the tips above? Leave them below! Hope you can put some (or all!) of these tips to use as you do your grocery shopping for Canada Day (seriously, so many BBQ offers in the Checkout 51 app)! Have a great Canada Day week, everyone! I love using checkout 51, zweet and snap to save a few extra dollars. It feels like a nice surprise to get that cheque in the mail. I also love ebates.ca for online shopping. Great tips, thanks for sharing them! Really helpful tips! Thank you for posting!